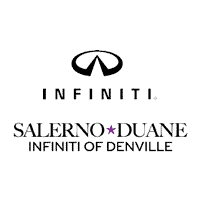 *Valid at Salerno Duane INFINITI of Denville. Certain restrictions apply. See Retailer for details. Price and offer availability may vary by model. Eligible tires include all OEM, OEA, and WIN tires. Taxes and fees additional. No cash value. Must present offer to redeem. May not be combined with other offers. INFINITI vehicles only. Void where prohibited. Ends April 30, 2019. *Valid at Salerno Duane INFINITI of Denville only. Limit one coupon per customer. Must present coupon when order is written up. Cannot be combined with any other offers. Some restrictions apply. See dealer for complete details.